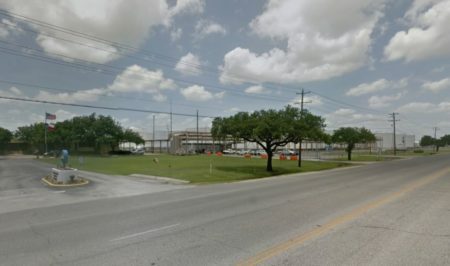 The Environmental Protection Agency ordered two companies to make more extensive repairs to stabilize the Superfund toxic waste site, following Hurricane Harvey. 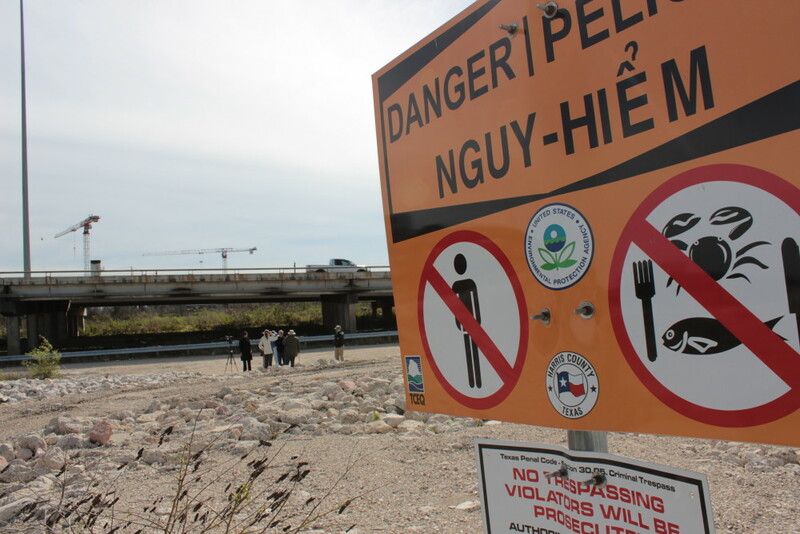 About a month after Hurricane Harvey flooded a contaminated Superfund site east of Houston, the Environmental Protection Agency ordered two companies to immediately fix damage to a “protective cap” that keeps toxic waste there from spilling into the San Jacinto River. Nine months later, even after some initial repairs, that cap still needs fixing. But John Meyer, local branch chief for the agency’s Superfund program, said while toxic material has been “exposed,” it hasn’t so far spilled beyond the site. “The data has not shown that the material has traveled away,” he said. Still, Meyer said the agency is concerned about high levels of toxins discovered in the parts of the site that have been surveyed. 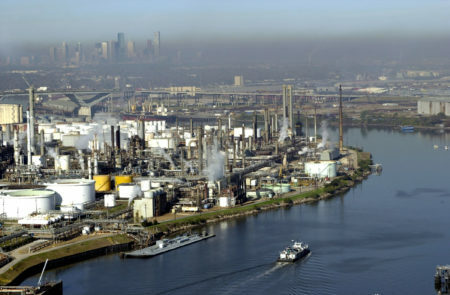 In Harvey’s immediate aftermath, an EPA dive team discovered dioxin levels more than 2,000 times higher than the maximum levels the agency recommends for the site. That initial sampling of 14 areas also found that the cap – meant to safely contain the toxins – had been damaged, exposing the toxic material. Now, after similar sampling of 22 areas in June, the agency said the cap is “absent,” the toxins are still exposed and they’ve again been detected at high levels. The area surveyed in June was a relatively small 50 square feet. The EPA says the new sampling shows dioxin levels at slightly lesser amounts than what was recorded in September of 2017, but still more than 2,000 times above what the agency recommends for the site. 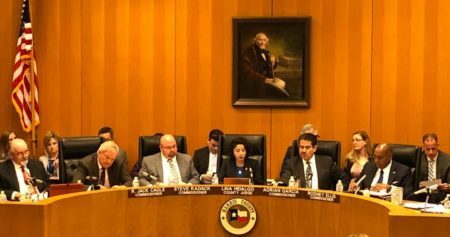 The agency has again directed the private companies responsible for the site’s long-term cleanup plan to “take immediate action” to fix the cap. The agency issued the same order in September, and said the following month those repairs were complete. Meyer, the local EPA representative, said the newly-discovered damage to the waste cap is due in part to “a very dynamic system” in the river. He said the agency is looking for a more lasting solution with this new round of repairs. “We have an idea of where this stuff could go, but we’ll never definitively know how Harvey truly impacted this site and the surrounding environment,” said Jackie Young, head of the Texas Health and Environment Alliance. Young has long advocated for fully removing the toxic waste from the river, which is now the EPA’s official plan. She’s not worried the damage to the site will complicate the cleanup process, but she is concerned about what happens before the cleanup begins. Meyer said the companies tasked with the repairs – International Paper and McGinnes Industrial Maintenance Corporation – have ordered materials to fix the cap, and that initial repairs should be finished within a couple weeks. Then the companies will submit a plan for a more lasting solution, he said. The companies did not make anyone available for an interview. 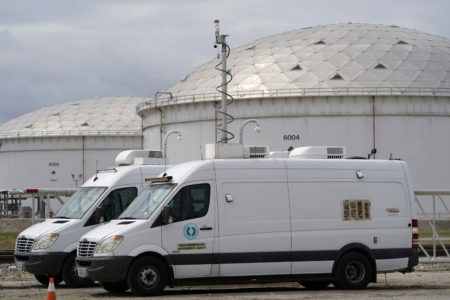 They have previously insisted that the cap “performed exceptionally well” during Harvey, and that sampling in late 2017 showed no evidence of toxins being released from the site. This story has been updated with comments from an EPA representative.